Usually every month Reformation Trust Publishing of Ligonier Ministries gives away a free ebook. This title appears to be the free book of the month for December from Ligonier. 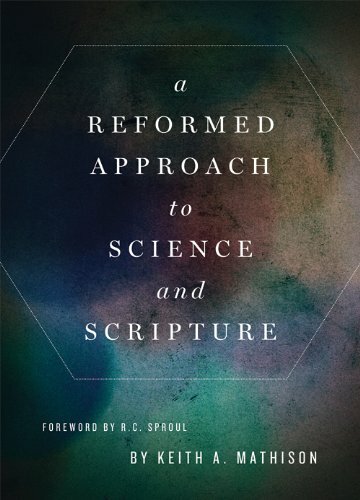 In A Reformed Approach to Science and Scripture, Dr. Keith Mathison tackles a topic that has long been a subject of debate, aiming to enable believers to approach questions pertaining to science and Scripture with grace, humility, and patience. “How old is the universe?” This question was raised during our 2012 National Conference and Dr. R.C. Sproul gave a brief and insightful response. In the summer of that year we asked Dr. Keith Mathison if he could pen a blog series to expand on Dr. Sproul’s comments. Given the importance of the subject matter and the response that series received, Dr. Mathison agreed to turn his work into a short book that we have decided to exclusively publish digitally as a free downloadable eBook.